With so many different siding options available today, it can be difficult to decide which options will be best for your home. The exterior siding of your home is a large investment. A few decades ago, vinyl siding was considered the best of the best. 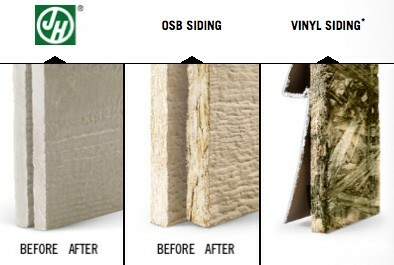 Today, there have been even more advances made in the siding industry. James Hardie’s fiber cement siding is one of the most durable options on the market. Which of these siding options is better for your home? The best way to determine this is to take a look at the differences and some of the key features of each. This will help you to decide which one of them is the best for your home or office. Let’s start by taking a closer look at the make up of both vinyl siding and James Hardie siding. 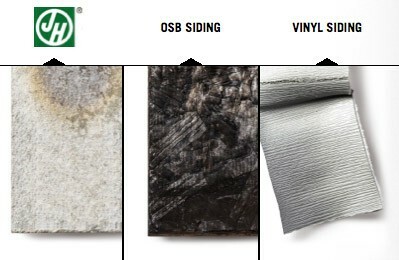 Vinyl siding and hardie board are two of the most popular synthetic siding options on the market. Vinyl siding was the replacement option for old aluminum siding options that were on most houses before the 1960’s. Vinyl siding is made with a PVC material, which has proven to be really durable over the ages. 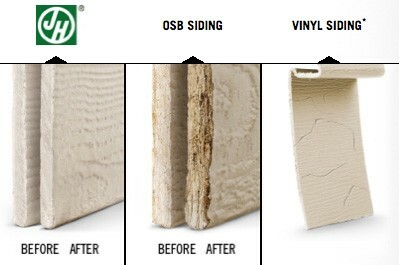 This is why vinyl siding is rone of the most popular options today. Hardie board is made up of a fiber cement with wood pulp. It made its first appearance back in the 1980’s, and has quickly become another popular option when it comes to exterior siding. It just offers a whole new level of durability. So, which type of siding is best for your home? Let’s take a look at some of the factors that will help you to determine which one will be best for you. 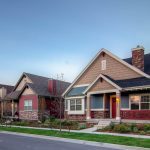 How Does James Hardie Compare Against Cedar & Vinyl? While there are some practical reasons to go with the James Hardie siding, it is also important to consider the design. The design of the James Hardie siding is much more sleek and modern. It also gives the look of real wood grain, which makes it look more natural. The planks set flush with one another to ensure a seamless look. This siding can really add to the curb appeal of your home, and can also increase the overall value of your home if you are considering putting it on the market. The James Hardie siding and trim can be primed and painted to match just about any color you would need. You can also take advantage of the ColorPlus Technology. This actually takes the color and cooks it onto the siding to ensure that the color stays for years to come. This can actually be a better option than painting, considering regular paint tends to chip or fade over time. When you have real wood siding, there may be some maintenance required. Wood will require painting on a regular basis, and must be treated to ensure that it does not warp. This is where both vinyl siding and James Hardie’s siding both come out on top. They are both pretty maintenance free. Vinyl siding does not ever have to be painted, and really only has to be washed from time to time. James Hardie’s collection, however, may have the be recaulked from time to time, but this is really the only maintenance that will be required over the years. They are both relatively maintenance free options. 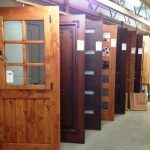 There are definitely a lot of things that you will need to consider when you are deciding on which type of siding to use for your home. The truth is, both vinyl siding and James Hardie’s collection can be a good investment. The key is to see which one is going to give you the bigger bang for your buck. 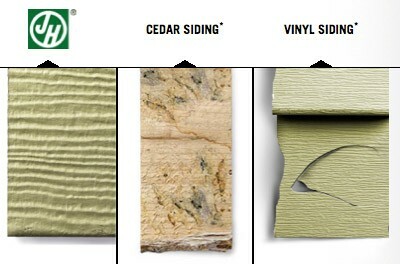 It is easy to see that the James Hardie siding collection is a great option. It is not only one of the most durable siding options on the market but it is also going to offer your home better protection from the elements. Pair this with the aesthetic design of the siding, and the potential to use the ColorPlus Technology, and it will really prove to be a great investment. When it comes to getting new siding for your home, you will want to make sure that you have the right contractor to do the job. The good news is that James Hardie endorses certain contractors to do their siding projects. Hatch Homes is one of their approved installers. At Hatch Homes, we focus on getting the job done right the first time around. Customer satisfaction is our top priority. If you are interested in having James Hardie siding installed for your home, contact us today to get an estimate. We can come out and take a look at your home and give you an accurate estimate for the project.